Dental Insurance: A Dentist Reminds You to Use It or Lose It! 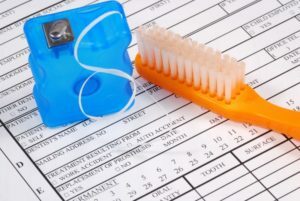 If you are fortunate enough to have dental insurance, you should take full advantage of it! By making sure you understand and utilize your coverage, you can save money, protect your smile, and plan well for any major treatments you may need. A dentist in Waverly reminds you that the last few months of the year are a good time to take a look at your insurance policy and make sure you are getting the most out of it. If you do have to get some significant work done on your mouth, your insurance is still there to help you out. It covers a significant percentage of the cost of many dental treatments, such as fillings, root canals, crowns, etc., but only up to a certain dollar amount. Many plans have a yearly maximum of $1,000. If, at the end of the year, your insurance company has only paid out $300 to your dentist, you don’t get to hold onto the remaining $700 for treatment the following year. You lose those benefits altogether. A few plans have a “rollover period” that allows you to use the previous year’s benefits. However, such plans are rare, and the money that gets rolled over is usually a reduced amount. The last few months of the year are the ideal time to get major dental work done. That’s because many procedures take place across multiple appointments. You could use what is left of 2018’s dental benefits to get your treatment started, and after 2019 starts, you can begin using funds from that year’s benefits. The friendly folks at your dentist’s office will be happy to help you understand your insurance coverage and how it relates to the treatment you need. For example, different policies file various procedures under different categories, which can affect the percentage of the treatment that the insurance will pay for. Some policies even have a waiting period that bars you from getting coverage for specific treatments until you have had your insurance for a certain amount of time. Knowing about such key details will help you and the insurance coordinator at your dentist’s office to plan your care so it affects your pocketbook as minimally as possible. Remember, dental benefits expire at the end of the year! Now is the perfect time to schedule an appointment with your dentist so you can enjoy a healthy mouth at a minimal cost. Dr. Jonathan Smiley leads the team at Smiley Family Dentistry. His goal is to provide excellent care without putting a heavy financial burden on patients, which is why he is proud to serve as your Delta Dental dentist in Waverly. If you have Delta insurance or another type of coverage, our team will be happy to help you take advantage of it. If you have questions about how your policy works or you would like to schedule an appointment, contact our office at 319-352-2270. Comments Off on Dental Insurance: A Dentist Reminds You to Use It or Lose It!